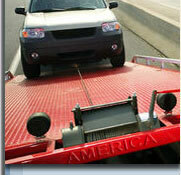 America Towing Corp. is a junk car removal service covering Miami Dade, Broward and Palm Beach Counties. America Towing is the quickest, easiest and most convenient way to get rid of your unwanted car and get top cash for it. We are not a web referral service. We tow the vehicles ourselves! Other major removal companies tend to send just anyone out to pick up your car. We are Licensed, Bonded and fully insured! Make sure your title is handled properly! absolutely no cost to you! call us. An operator is waiting to help you. DON'T SELL WITHOUT CALL US!!!! !